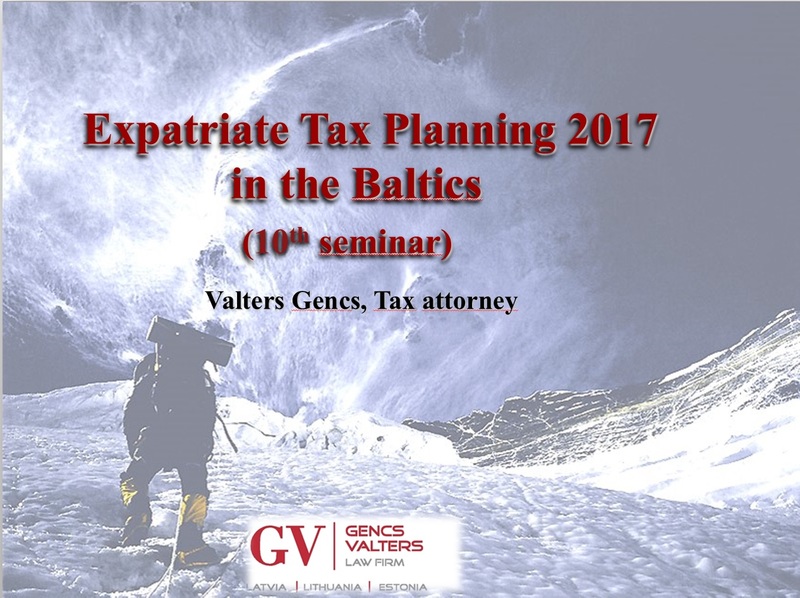 Expatriates tax planning in the Baltic's 2017 tax seminar was held jointly with the Swedish Chamber of Commerce on March 9th, 2017. More than 35 participants were present. Presentation was provided by Valters Gencs, Latvian tax attorney focusing on presentation of tax avoidance issues in the Baltic's. 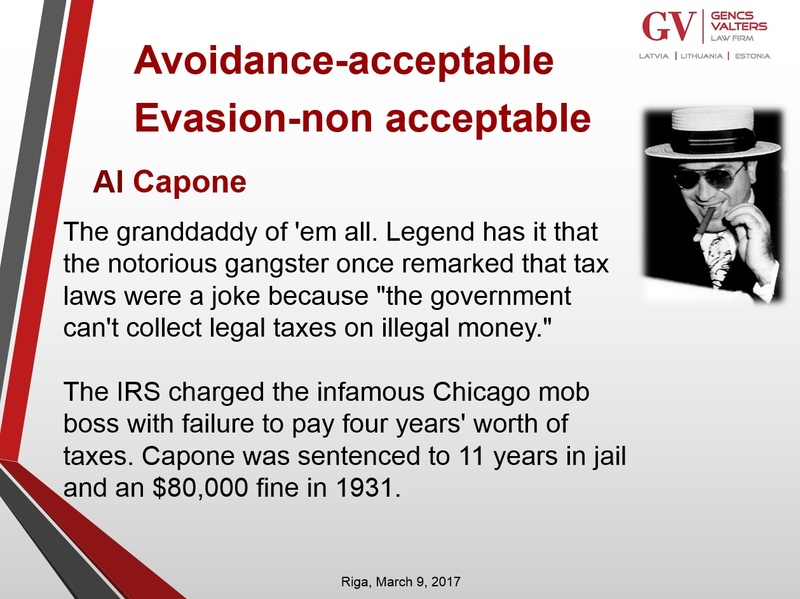 In context of Baltic tax planning tax avoidance is acceptable practice in conjunction with tax evasion which may be subject to criminal investigation. The description of other slides will follow.